A conversation with Katherine Freese, the new director of the Nordic Institute for Theoretical Physics. In September, Katherine Freese will take the helm of one of the most prestigious theoretical institutes in the world, Nordita, the Nordic Institute for Theoretical Physics, in Stockholm, Sweden. For the next three years it will be her base for pondering the deepest mysteries in the cosmos, in particular the identity of dark matter, which makes up most of the mass in the universe but has stubbornly refused to reveal itself in physicists’ searches. 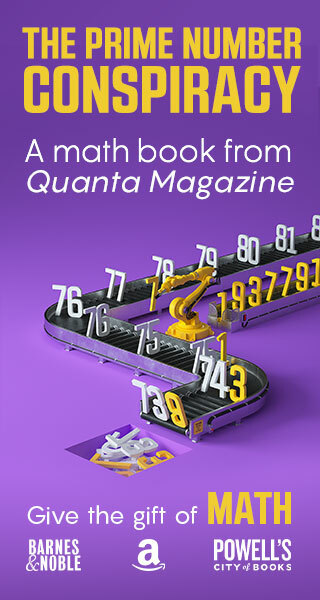 Quanta Magazine interviewed Freese recently in New York City. Edited excerpts of that interview follow. QUANTA MAGAZINE: Tell me about Nordita. KATHERINE FREESE: Nordita is the institute for theoretical physics for the Nordic countries, which include Scandinavia and Iceland. It’s one of the most famous theoretical physics institutes in the world. What made you interested in becoming Nordita’s director? An important ingredient was that I had to like Stockholm. I was on the board of the Oskar Klein Centre for Cosmoparticle Physics, which took me there once every year or two. I got to know Stockholm, and it was one of the most beautiful places on Earth, a beautiful city, lots of water — I like to get on boats — and really super-friendly people. But that wouldn’t have been enough. This opportunity to direct one of the major institutes on the planet is exciting. It’s a leadership position that I look forward to trying out. But I’m not moving permanently to Stockholm; I will be on leave of absence from Michigan. Why did you make dark matter such a central focus of your research career? I don’t think that’s a decision I made. I got into it and then it kept going. I was working on an experiment at Fermilab, in Illinois, as a Columbia graduate student. I wanted an excuse to get into the city of Chicago a couple of times a week, so I signed up for cosmology with David Schramm. Schramm was a giant, and I mean physically a giant. He was a wrestler — he was a finalist in the Olympic trials in Greco-Roman wrestling. We called him Schrambo. But he was also a giant in the field of particle astrophysics; he was one of the people who really got that field going. So I was pretty lucky to meet him at this juncture in my life. He was a total inspiration. And I feel like I learned from the master. So he had me looking at neutrinos as dark matter candidates, which at the time still seemed like a possibility. But neutrinos didn’t work out. So you began to study exotic particles called WIMPs. What are those? WIMPs are weakly interacting massive particles, and there’s a lot in the name. The “massive” part means that they weigh anywhere between the same mass as a proton or a thousand times as much. And their interactions really are weak, which is what makes these particles hard to detect. But the reason that we think this is such a compelling candidate for dark matter is that if you postulate this one thing, these weak interactions, you can explain the amount of dark matter in the universe. These particles are their own antimatter, so whenever they encounter one another, they annihilate, meaning they turn into something else. So when the WIMPs are gone, they turn into photons or other particles. 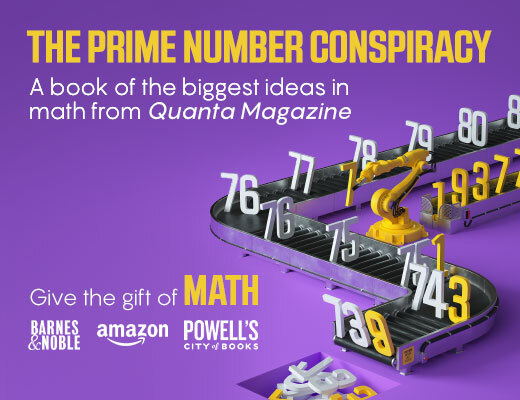 In the early universe we can compute how many there were, and how they accomplished this annihilation among themselves, and then we can ask how many are left today, and you get the right abundance left today to explain the dark matter. Cosmologists call this the WIMP miracle, as they think this is pretty compelling. You don’t have to add a whole lot of new physics to explain the dark matter that we see. Now, the other reason people like WIMPs is that they already exist in various particle theories that were proposed for reasons that have nothing to do with dark matter. Supersymmetry is an extension of the Standard Model of particle physics that was proposed to solve other problems in particle physics, and automatically, in the simplest variants of supersymmetry, you would have a dark matter candidate that is a WIMP. So that’s very nice. So how would you assess the state of the search for dark matter today? There are tons of experiments going on that are seeing some unexplained signal. However, they all seem to disagree with one another. They can’t all be right. And the question is, which of them is right? The earliest experiment to find an interesting anomalous signal was the DAMA (“DArk MAtter”) experiment, underneath the Apennine mountains near Rome. Its signal is based on my work with Andrzej Drukier and David Spergel. We pointed out that because the Earth moves around the sun, any dark matter signal you see should go up and down with the time of year, peaking in June, with a minimum in December. And that is what the DAMA researchers see. They have 13 years’ worth of data, and the signal definitely goes up and down with the time of year exactly as it should if it is a dark matter signal. However, a couple of caveats: One is that they won’t let anybody else look at their data, which engenders suspicion. And the other one is that DAMA seems to disagree with other experiments. Some people would say it’s ruled out by other experiments. What about evidence for dark matter particles from observations in space? The latest stuff comes from the Fermi satellite, which is looking at the gamma-ray sky. Gamma rays are high-energy photons that could be the end products of WIMP annihilation. Possible signals have been seen looking toward the center of the galaxy — giant bubbles of excess gamma rays. You have these two giant, giant bubbles above and below the galactic plane. And part of that could be from dark matter annihilation. A number of authors are studying the idea that this could be a dark matter particle that weighs 30 times as much as a proton. However, there’s a lot of other stuff going on at the center of the galaxy, with competing, more ordinary astrophysical signals, so you always have to be very careful before you claim anything. Anyway, that’s the latest favorite. You can also search for WIMPs in accelerators. But accelerators like the Large Hadron Collider have looked for supersymmetric particles without finding them. Of course, the LHC is looking for supersymmetry and hasn’t found it, but that doesn’t mean it won’t. It’s about to turn on at double the energy it had when it shut down, so we’re hoping something’s in there. Let’s talk about dark energy. It’s this huge mystery. It strikes me that the cosmological astrophysical community is perplexed by it. Yeah. Oh yeah. Dark energy at this point is nothing more than a label. We have no understanding of it. And one thing I always stress is that regular matter and energy are related. They can convert into one another. Dark matter and dark energy do not have that kind of relationship. The only thing they share is that they are dark. They don’t shine, and we don’t know what they are. They may have some connection, but they may not. There are theoretical possibilities people are exploring, trying to come up with explanations for dark energy, but in reality we don’t know what’s going on. The vanilla explanation, most people’s favorite, is that it’s some kind of vacuum energy, namely what’s known as the cosmological constant. Right here in this room you have particles and antiparticles popping in and out of existence — that’s a fact, it’s measured, it’s true. If you attach a spring to every particle in the universe and you add up all the energy from that, that’s this vacuum energy. But when you do that, you get a number that’s too high [compared with what is observed] by 10 to the 120th power. Theory predicts vastly more vacuum energy than the amount actually observed. Wouldn’t this huge disparity be explained if there are multiple universes, a multiverse, and each has a different density of vacuum energy? Then the reason we have a low amount in ours is because that’s the only way we could exist in it. I don’t like that idea. A lot of people like it because of string theory. Originally people thought that string theory would give a unique solution to the vacuum-energy equations. But it turns out that in string theory there are maybe 10-to-the-500th different vacuum states. So the idea is that they’re all out there, but we have to live in one with a value of the cosmological constant close to the one we have. But I don’t like anthropic arguments. They rely on the fact that human life can only come to exist under certain conditions, so that of the many universes out there it’s not surprising we live in the one that supports our type of life. That’s not a good enough explanation for me. I feel there are physics problems that we have to answer, and we can answer them in this universe, in this piece of the universe we live in. I think it’s our job to try to do that, and it’s not good enough for me to give up on it and say, well, it has to have this value because otherwise we couldn’t exist. I think we can do better than that. I know, I’m old-fashioned. I do believe in inflation, so can inflation give you a multiverse or not? Because if it can, then I’m forced to consider this possibility. I recently wrote a paper with Will Kinney on this. We concluded that what we observe in the cosmic microwave background radiation is not giving rise to eternal inflation. So how do you know that ever happened? Are the recent results on the cosmic microwave background from the BICEP2 experiment relevant to this issue? If you take the BICEP data literally, which I’m not saying you should, you never have eternal inflation. So you don’t have to have eternal inflation, if you ask me. I was very happy about that. Tell me about one of your latest interests, dark stars. If dark matter is made of WIMPs, then the first stars that formed would be powered by dark matter instead of by fusion. These stars formed when the universe was 200 million years old. At that point you don’t have galaxies yet, but you have smaller lumps of structure that are about a million solar masses in size. The idea about how stars form is that smack in the middle of those lumps you have a collapsing cloud of hydrogen and helium. In the standard picture of star formation, this thing would collapse until it got very tiny and then fusion would start. I studied these phenomena with Paolo Gondolo and Doug Spolyar. There’s a lot of dark matter around where these things are forming, so we asked what role that dark matter plays. And what we found is that the products of dark matter annihilation, the photons, electrons, positrons, could get stuck inside this collapsing cloud and heat it up. So it’s annihilation power, it’s annihilation heating, dark matter heating. These things would be very diffuse, puffy. Their radii are about as large as the distance between the Earth and the sun, or even 10 times that. Their surface temperatures are very cool. Dark matter power is evenly spread out throughout the whole star — unlike in fusion, the power source is not concentrated at the center. But it’s a real star. After we had the idea that dark matter could play a role here, we realized that perhaps the term “dark stars” gives you the wrong idea, because they’re really, really, really big and bright. They start out with a mass maybe similar to the sun’s, but they can keep adding more and more matter until they get 10 million times as massive as the sun. Not every one will get this big, but some could, and they’d be 10 billion times as bright as the sun. Those things would be visible in the James Webb Space Telescope, the upcoming sequel to the Hubble Space Telescope, to be launched in 2018. So for me, that’s my next frontier. This articled was reprinted on Wired.com.